The question of whether or not your child is gifted may have crossed your mind. As parents, it is your responsibility to recognize and nuture their gifts. In my last blog, I discussed how to recognize special gifts in your child. But what are some of these special gifts? Here are some examples of noticeable gifts: academic achiever, teacher, music/vocal artist, performer, engineer, or athlete. 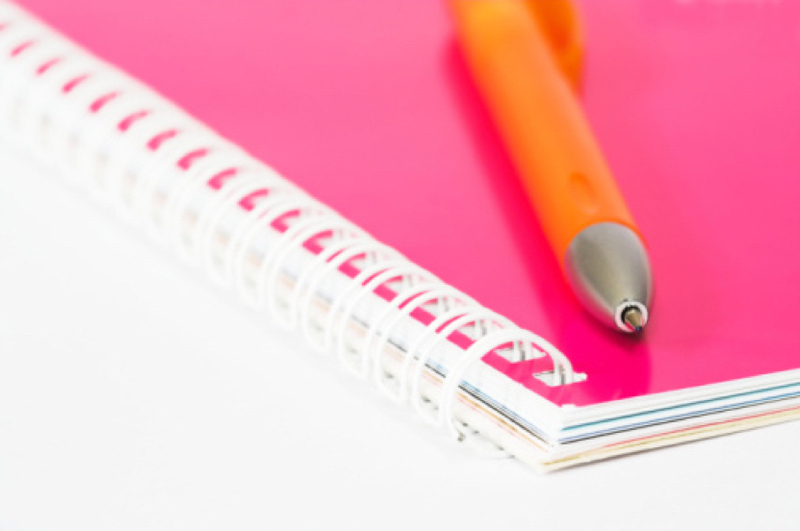 In order for a strong scholar to maintain high scores, he/she needs to be equipped with the tools required to excel. This child shows interest in reading at a very young age. This child usually displays a quiet demeanor and appears to be a deep thinker. These children are highly gifted, exceptional learners. This reminds me of my “Prove It Kid” – yes, Bianca. Your goal is to encourage and guide your child toward a greater accomplishment in the classroom by providing them with advanced prep courses and/or tutorials. If you are blessed to homeschool this child, it is even better. This will allow one-on-one tutoring and allows you to individualize their lessons. I encourage working parents to use homework time for one-on-ones with your child to instill further learning by identifying their strengths and weaknesses. Praise them often; let them know you love them. Let them know they are able to accomplish anything – it just requires hard work – and you are there to make it seamless. Don’t let them be intimidated by the phrase “hard work,” but let them understand the rewards of their efforts. Teach them character and remember, character is also built through example. We have heard both pros and cons in the media about “Tiger Moms.” A Tiger Mom’s goal is to teach her children to be high achievers, strong-willed, and competitive as she directs them towards a financially successful career. Some people might feel that she is too strict and foster too much of a competitive spirit for a child. I believe she is aware that corporate America leaves her no choice. This child is eager to obey their parents. I find, along with this gift of teaching, the parent requires great patience. This child has a natural talent and loves to read and teach. You can catch this child playing school. If your child loves teaching others, you may recognize this when he/she plays with their toys. The gift of teaching can manifest itself in different ways, such as public speaking and the ability to negotiate. There are gifts of teaching that are given by the Holy Spirit. This teacher can be an evangelist or preacher; these gifts are divine and uniquely purposeful. These gifts are for those who are to serve in ministry to help others. Those who have been gifted for this purpose will need a spiritual mentor. Your assignment is to equip them and God will provide all that this child will need. Although teachers are usually the best communicators, successful negotiators may also possess this skill as well. It may seem this child is always correcting you. Although speaking or teaching allows expression of feelings, it also shows good communication skills. Teach them the importance of listening. Hone in on their un-shyness – encourage speaking in front of you. You may sometimes feel that you are a captured audience, so setup a make believe podium and give him or her a spoon to use as a microphone. It’s fun – it’s make believe – and you are given another opportunity to teach. I used this technique with my daughter and she loved it. As your child gets older, equip them with verbal and non-verbal communication courses. I am still studying my nephew, who negotiated a fee for a successful “deposit” during his potty training. “Give me a dollar and I will go to the pot.” He wore my sister down and finally she agreed. “OK, I’ll give you a dollar.” This little 3 year old said, “No, two dollars!” LOL! Who negotiates to use the potty? Now, you want to know…”Did you give him the money?” Yes – every time he relieved himself, we gave him one or two dollars. We need to teach him to become a sports agent with his ability to negotiate a contract. He made 100% profit on poop. And I can’t believe I paid that much for POOP! This child loves to sing-a-long and encourages you to replay it again. It is most likely that there is a genetic link to the gift of singing somewhere in the family tree, or you might just have a child prodigy who is the first in the family to ever show this talent. This child is amused with banging on pots and pans or anything to make a sound. We may express that all toddlers have the skill of banging on everything, but the noted difference is that it really sounds recognizable. He has the ability to learn and keep a beat all on his own. Provide this two-year-old with a tiny drum set, piano, or guitar. By the time Mozart was five years old, he could play piano and violin and he had already begun his career as one of world’s greatest classical composers. While he may continue to be one of history’s greatest child prodigies, he is not the only one. Some of you parents have gifted children like Mozart. Parents should take a look at possible music and performing arts classes. It is never too early to encourage creativity. 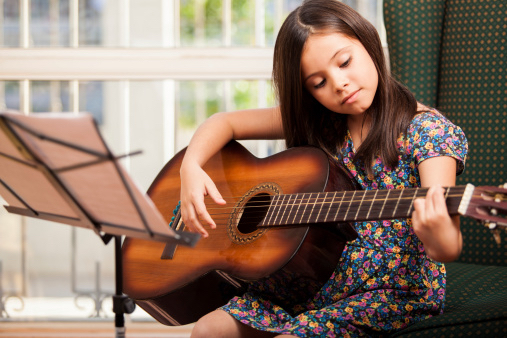 It may be true that every parent thinks his child is gifted, but if your child demonstrates an easy understanding of rhythm or pitch – yours might have natural talent. The song “EVERYBODY DANCE NOW!” screams from the television during a recent Target commercial, and that little one can’t keep still. 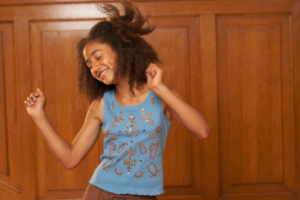 Both singing and dancing gifts are apparent in this child. Whenever there is music, you can find this little one jumping. Encourage them to perform. A performance can be on a stage in front of a small crowd, or in your living room for your family. Why is this child always walking on their tippy toes? Hello, little twinkle toes! 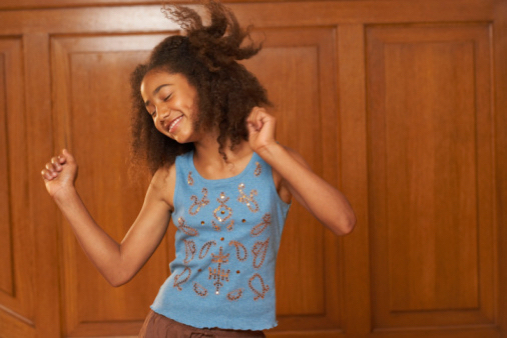 Dads – don’t be concerned if this little performer is a boy. When my son was in high school, his basketball coach suggested that all the basketball team take ballet lessons. This helped them in their ability to jump. This has been known true for college coaches to have certain player positions take up ballet lessons. This aids in their quickness on their feet. Whenever there is a critical out-of-bounds play that is being reviewed by the referees to determine whether or not one or both feet are inside the line, toes count. Twinkle toes come in handy in professional football and the NFL. You remember the play known as the greatest catch of 2014 by New York Giants receiver, Odell Beckham, Jr.? He is a naturally gifted athlete. You get it, dads! Let him practice catching the football with one hand or on his tippy toes. Go ahead and flex, twinkle toes, but remember your balance is in your core. Work on it and keep it strong! He does not play with his toys. He’s always taking them apart to see how they work, then he tries to put it back together. You are thinking, “You broke it already? Do you know what this toy cost? I am not going to buy you another one.” The real response should be, “WOW! You were able to take it apart. Now let see if you can put it back together.” Don’t get mad or upset if it is no longer working or does not look the way it did when it came out of the package, even after he attempts to reconfigure it. He’s just three! LOL! He/she is inquisitive and curious. Curiosity can be a good thing. It reminds me of the movie Short Circuit. Johnny Five would say, “Need more input.” Children are like sponges, absorbing input all the time. I believe this child knows their gift and tells you what he or she wants – tools, gadgets or thingamajigs! When placed in an environemnt where they are exposed to computer learning tools, this engineer excels. This little engineer is interested in technology and how computer programs work. Have fun! Paul’s writings in 1 Corinthians 12:11, states “…and a gift is a body gift.” Are we to understand that there are two gifts, gifts of the spiritual and of the body? What we are recognizing today is the gift or gifts of the physical body and how each member works together for its unique purpose. The gift of athleticism is apparent in this child. He or she has inherited some of these abilities. This child skipped the crawling stage and walked – or skipped the walking stage and just ran. He or she is naturally, physically gifted. In boys, you could almost see the muscles in his arms as an infant. Although he is a toddler, you can see his athletic build. He is strong, tough, well-developed, quick, and reactive in sports. Some people might say, “He is ALL boy!” In girls, she’s graceful and displays speed and balance. Her legs are strong and she carries her weight. Both children know their gift and begin telling their parent what sports they want to play. In my family, the girls’ shoulders, arms, and thighs are so large, we can also play football. LOL! By the age of four, you are ready to engage them in extracurricular activities. You will know when it is time to introduce them to soccer, gymnastics, T-ball, etc. Jumping all over the furniture can be risky business when your child is honing in on her gymnastic skills. Let’s buy a small trampoline. Remember – no unsupervised practicing. Approach all concerns as a lesson. Use your teaching skills. Teach! There are little boys or girls whose parents just want to put them in organized sports to teach them social skills. Sometimes those participating in these sports are not gifted athletically. Each parent must discover their child’s strength and weaknesses and allow them to know and find their purpose. As parents, you can’t always make decision for your children, but they will inform you, when he or she is ready, what sports they want to play. 1. Observe their potential skills. 2. Determine where their strengths are on the field and what position he plays best. 3. Determine which sport he will excel in most, which sport he/she is most passionate about. Starting them in organized sports early allows them to get a feeling for the game. You can recognize these gifted children on the field. I know that there are pros and cons in starting children early. Some have said that it causes burnout, but I feel the athletically gifted child loves the challenge. Keep in mind the energy level of these little ones. They can come home after a game and still have enough energy to burn their moms out! 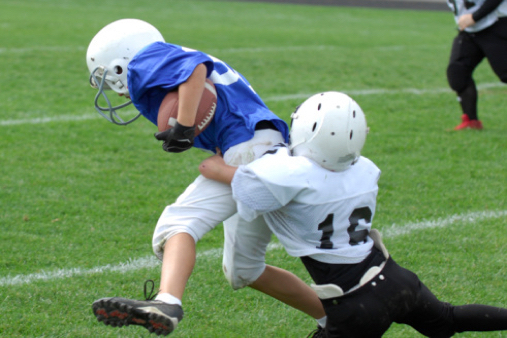 Remember that during the adolescent growth season of your child, overuse injuries or burnouts may likely occur for those who are pitchers or quarterbacks. Once you have discovered your child’s gifts, providing them with tools in the earlier development stages is important. Healthy development of your young children in the early years provides a foundation for them to have the confidence to pursue their dreams, to achieve academic success, and to have their own unique style. Learn what motivates and inspires your child. You will need to make available to them the resources that will support them in meeting their passion and future goals so they can walk in their gift. This is preparing, equipping, training, and providing them with tools and education necessary for their performance. Of course, the materials and training are age specific and used for their development and performance, whether they are academic achievers, engineers, or athletic performers. The parent raising a high performer who is an academic achiever provides the educational resources that will equip them to handle and survive in a competitive corporate market. A parent of an over achiever will need to be introduced to practices that will help this child to handle failure and disappointment. I encourage you to role play with your child using hypotheticals and teach them constructive criticism. In this case, I have always been honest with my children of my failures and disappointments. Most parents want to shield their children and protect them from the realities of life. Unfortunately, they will make their own mistakes, but you want that relationship to be open enough that you can demonstrate that they will learn from the experience. Being told “NO” one too many times can lower self confidence, self esteem, and will. Teach them early that they will be told no, and it’s okay. Don’t worry, a “YES” is just around the corner. I encouraged my daughter Bianca not to give up, keep trying, and be a squeaky door, telling her that a squeaky door gets oiled – meaning that she should never give up or be discouraged. I let her know that her “Yes” is coming. I want you to know that a gifted child can also be an underachiever. As a parent, you must know that a child may be underachieving merely because he/she has not been challenged, requires organizational skills, or you need to determine the areas in which this child struggles. Seek out what motivates this child. By getting back to basics, you can begin to uncover and discover areas in which your child can be supported in order for them to become higher achievers. For example, by sitting down with them and creating a structure in which to help them get organized. 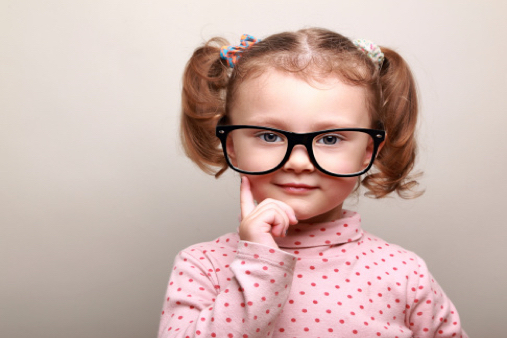 Perhaps this child is visual – use visual aids when teaching. The parent raising an athletic performer is training this child to build both mental and physical strength to play sports. This child is given an opportunity to play a range of sports to find the sport he or she is more dominant in and to determine or hone in on their gifted position. At this point, you are ready to engage him in extracurricular activities. The parent raising a performer requires creative thinking. This child is very expressive in the arts. This child has natural talent, and you as a parent should introduce him or her to the art of dancing, music, drama/theater, etc. We hear the saying “practice makes perfect” – it applies when working in this gift. Whether your high performer loves physics, science, or a hammer, you will know what things to introduce in their training, based on the age of the child. 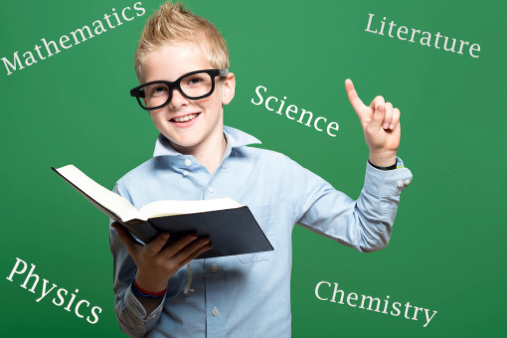 Some examples: science fairs, engineering programs, private schooling, home schooling, camps, tutoring, and college preparatory courses, etc.